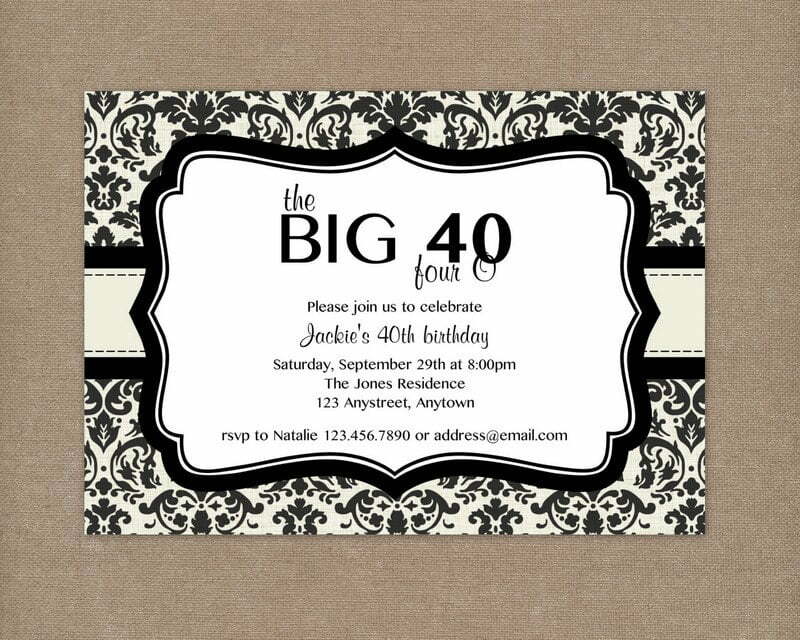 Need a 40th birthday invitation wording? Below is one of the wording example you can get. Being 40 is such a great blessing for everyone. It shows the maturity and success in our life. That is why some people think that we need to celebrate the party. It is not just about celebration, here we share happiness and joy. Beside, the one who has birthday will get the best wishes from many people. We design this file in two kinds of paper setting, a portrait and panorama. You can select one of them as you need. 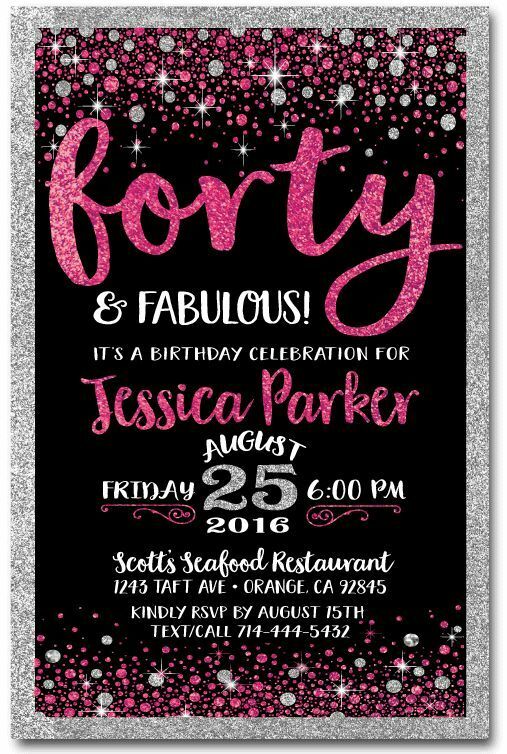 In the center of the template, we give you a blank space to be filled up with the party details such as the date, time and place. Write down manually or automatically. If you like to draw, you can use marker. However, it takes a long time. Thus, using Photoshop is an effective way to write the information. 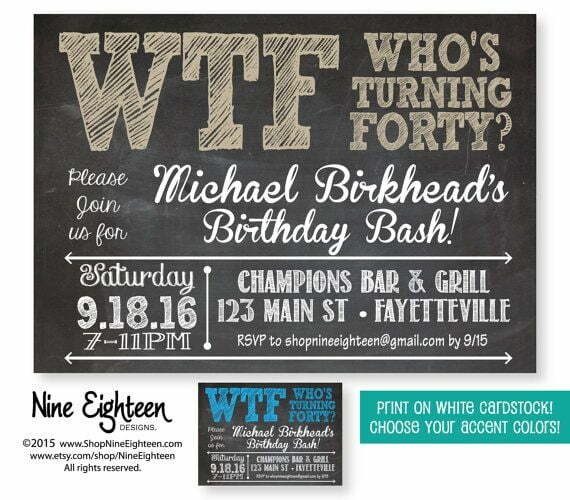 To get this 40th birthday invitation wording, you can copy it. While to download the design, click on the image and choose Save Image As menu. Then you are ready to do customization. Get a cardstock paper to print this file. It gives you an authentic printing image ever. 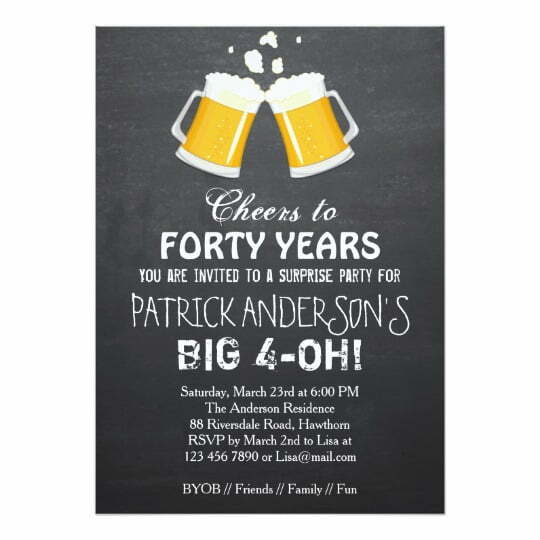 © 2019 - FREE Printable Birthday Invitation Templates - Bagvania. All Rights Reserved.